Combining my love of Art Deco and Australian Flowers. 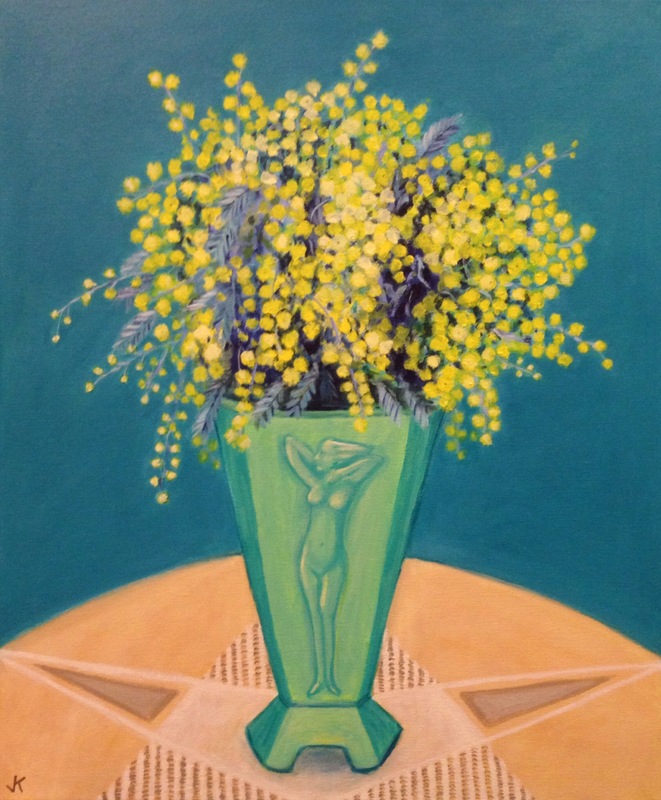 “Cootamundra Wattle in Deco Vase”. Acrylic on canvas 50cm x60cm.